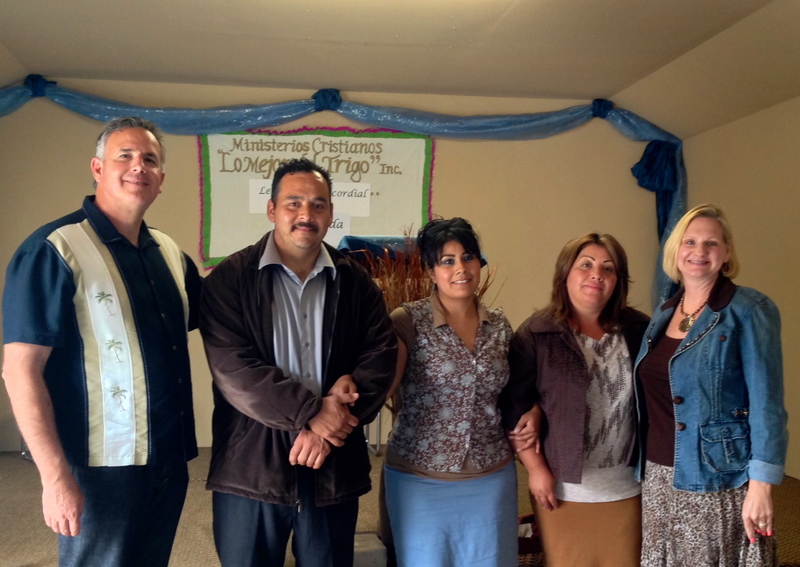 Today (Sunday) Dawn and I had the privilege to spend some time with our friends at the Lo Mejor del Trigo (The Best of the Wheat) church in Pipila, in eastern Tijuana. You might remember that this is one of the churches we partnered with Harbor and Lo Mejor del Trigo to plant last Fall. The church started last November, and it is off to a fantastic start! Dawn and I enjoyed the opportunity to be with this young and growing church. Rodrigo and his wife, Nancy are doing a good job loving and leading the people. Rodrigo told me that the church is frequently going out to share the gospel in the community. I enjoyed the opportunity to minister to the church through preaching on grace today. The Gospel does change lives! They were very open to the message, and Dawn and I sensed the Lord moving among them. The woman, who donated the land for the church was also visiting today. She has a great heart, and loves God’s church. It was the first time she was able to visit the church, since it was built. After the service she met with Rodrigo, Nancy, Dawn and me and she was very interested in the needs of the church. I’d like to share with you what we found out, so you can pray with us. The church doesn’t have its own electricity. They are having to run an extension cord from a neighbor’s house to the church. They don’t have any musical instruments. They need some better security. Someone has broken into the church through the windows. Nancy has some dental needs, and they don’t have the money to cover the medical costs. 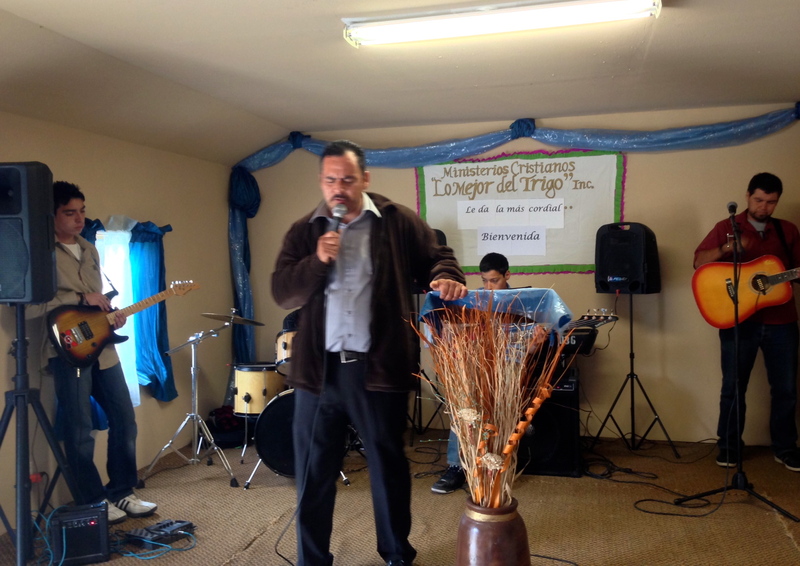 Rodrigo and Nancy don’t have a car, so it’s hard to make it to their many ministry activities and to cart around the music equipment they borrow. Rodrigo could use a computer to help with his sermons, studies and communication. We are thrilled by all the Lord is doing at this young church, yet some of the needs do make us concerned. We wish we could do more. Jesus is making a difference through the gospel in the community of Pipila. Thank you Lord, for your continued ministry in the heart of men and women on the border. Pray for these needs and this church. We hurt for Nancy, and her dental health. O Lord, please do provide a way! Thanks for sharing this 🙂 Will pray for the needs! Thanks for your prayers. The Lord has already provided for some of the needs! Praying but also asking if there is a way we can give too? Thank you and God bless you, Pastor Dave! Thanks so much for praying, and for your concern. I need to check on a way for others to be able to give. I think I can set something up, but it’s not in place yet.